In Massachusetts, farmland has been converted to development much faster than any other type of land: the state ranks third in the nation in farmland loss. In recent decades the equivalent of four to nine football fields have been removed from the food system every day due to development—that's an area big enough to produce nearly 40 dump trucks of potatoes each year! At the same time, demand for locally grown food has never been higher. Almost 250 farmers markets operate in the state today, a 145 percent increase since 2004. Subscription farms (CSAs) now number more than 220 and roadside stands more than 545. Sales from farms to schools, restaurants, and other institutions are growing. Despite this growth, far too many residents lack affordable access to locally grown food and far too many current and aspiring farmers can't afford to farm. 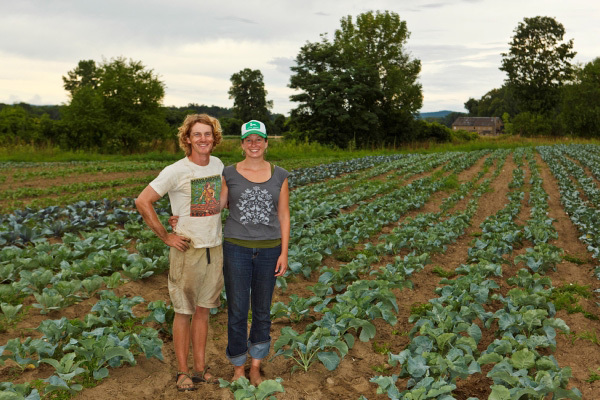 By conserving farmland in Massachusetts and making it permanently available for farmers at more affordable prices, we can ultimately help tens of thousands of people benefit from increased access to local food. Historic West Bridgewater Farm Saved!